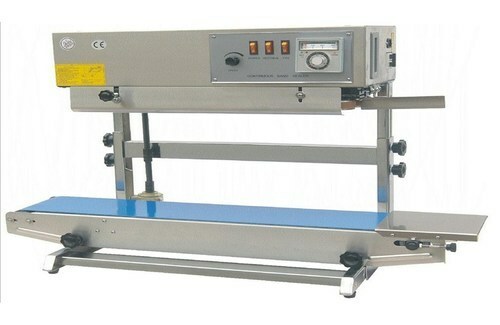 The team of expert members working with us offers Continuous Band Sealer to our clients. Manufactured using high quality raw material, these are known for their high quality and long life. Our range comprises of Ip 601 H/v, Ip 602 V / Ip 603 V and IP 601 CV / (Air Flushing). 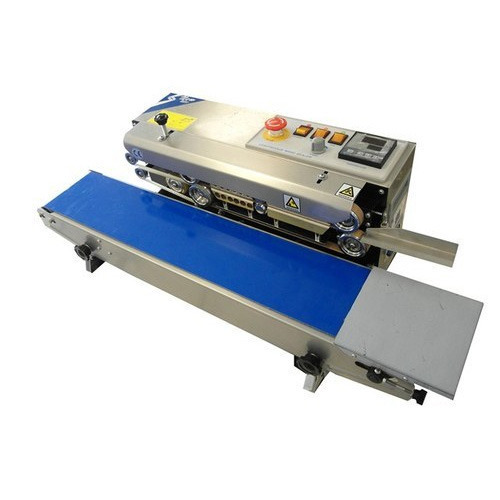 We are leading manufacturer and supplier of Continuous Band Sealer FRB-770 Series and our product is made up of good quality. 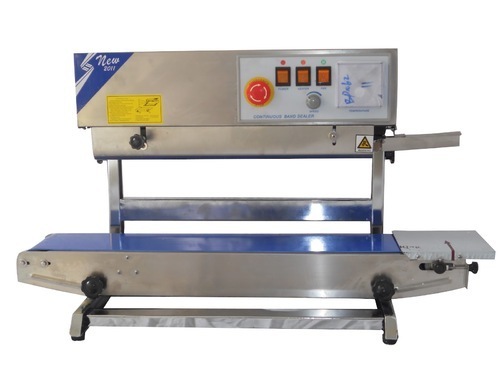 The machine is ideal for sealing small packages, which adopts constant temperature control system and step-less speed regulation mechanism. It can seal plastic films made from various materials continuously. Embrossing wheel and counting device are optional. We are leading manufacturer and supplier of Vertical Continuous Band Sealing Machine and our product is made up of good quality. Embossing wheel and counting device are optional. FR-770 series are available in three models: horizontal model (FR-770I), vertical model (FR-770II) and console model (FRB-770III). We are leading manufacturer and supplier of Heavy Duty Continuous Band Sealer and our product is made up of good quality. 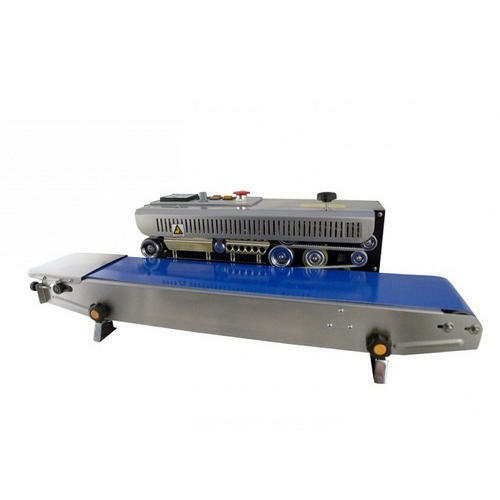 The machine is widely used for blister packaging of hardware, toys, small articles of daily use, electronic components, etc. The packed products are visible, eye drawing, dampproof, dustproof and secure. 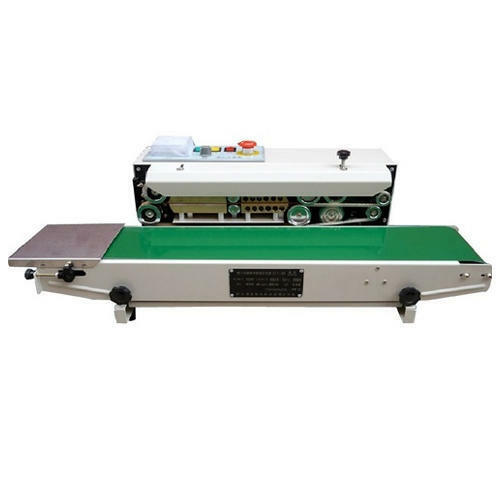 We are leading manufacturer and supplier of Band Sealing Machine and our product is made up of good quality. FRB-770 series is available in three models: horizontal model (FRB-770I), vertical model (FRB-770II) and console model (FRB-770III). We are leading manufacturer and supplier of Horizontal Continuous Band Sealing Machine and our product is made up of good quality. Our company has achieved widespread recognition in offering Horizontal Continuous Band Sealing Machine to the clients. Horizontal Continuous Band Sealing Machine is widely demanded in various types of places by the esteemed clients. Offered range is manufactured at modern production unit under the observation of seasoned experts using premium quality raw material. This product is tested by quality experts on various parameters to ensure toughness at clients' end. Offered range can be modified as per need of clients. We have carved a niche amongst the most dominant names in this domain, involved in providing superior quality range of Band Sealing Machine. Ideal for heat sealing of laminated or non laminate pre made pouches. 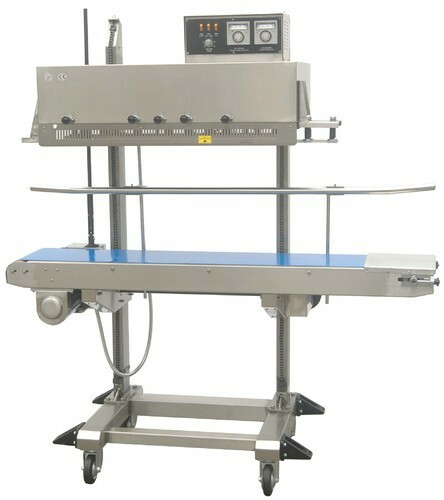 Suitable for online operations with filling machines and for mass production. 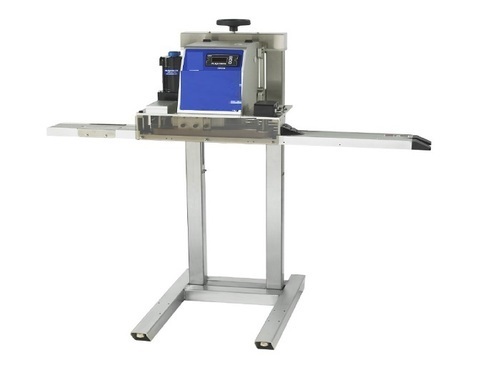 This machine is used for sealing various pre-made pouches and it is best sealing equipment. In order to keep pace with never ending demands of the customers, our company is instrumental in presenting excellent quality assortment of Horizontal Continuous Band Sealing Machine to the clients. Horizontal Continuous Band Sealing Machine is widely demanded in various types of places by the esteemed clients. Offered range is manufactured at modern production unit under the observation of seasoned experts using premium quality raw material. This product is tested by quality experts on various parameters to ensure toughness at clients' end.